I am looking to know if there is a way to create small publication documents. For example. 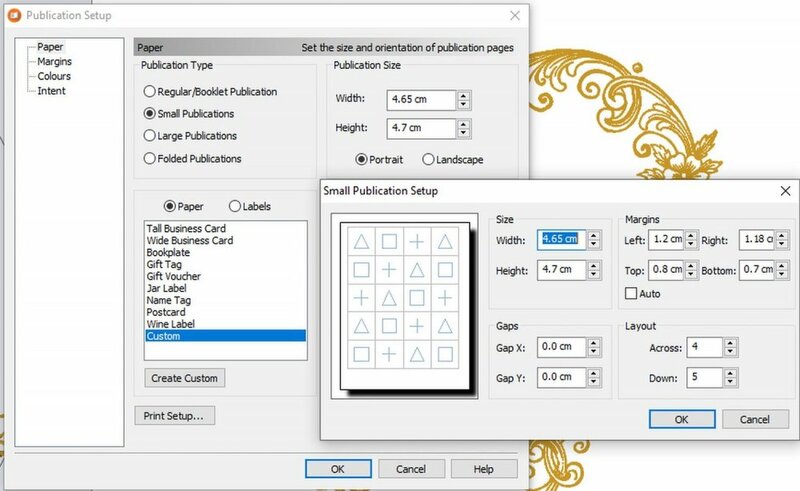 If i have a sheet of labels ( 4 across by 6 down) I can create a document sized for one label and print an entire page from that one document or alternatively create 4 pages and print 4 different designs onto a single page. Something like can be seen in the attached image.